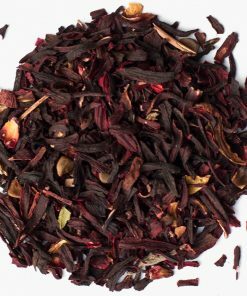 A fusion of green tea and hibiscus with natural tangy berry flavour. The crimson red just calls for celebration! 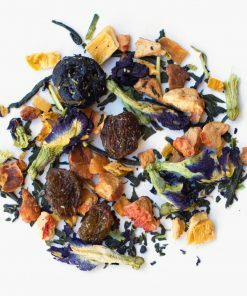 Low in caffeine and loaded with herbs, this blend is packed with antioxidants to help fight off free radicals. 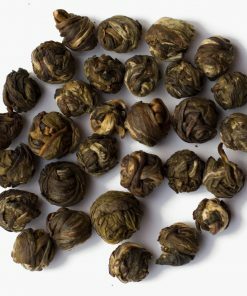 Keep hunger and cravings at bay with green tea. The vivid colour is a product of the hibiscus, a naturally sweet-tasting flower well-known for its ability to help lower blood pressure. 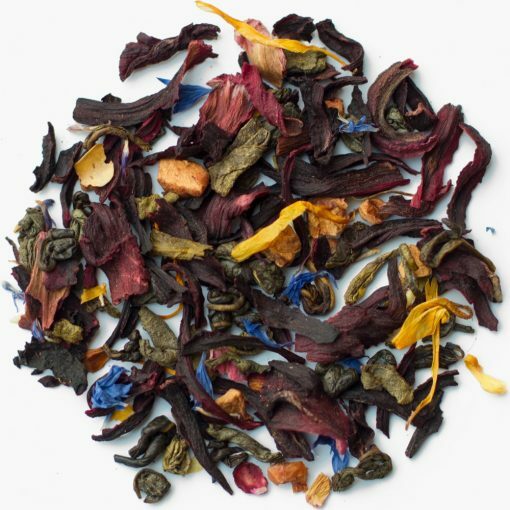 Green tea, hibiscus, rose hip, marigold, apple, corn flower, strawberry flavour.